Ben Stephen's has not had an easy life. Since his wife was murdered in their bed seven years ago, Ben's life has been in turmoil. Her killer has never been caught and is still out there somewhere. Now, Ben has remarried and his second wife is a great mother to their two children, but she is the woman that he was having an affair with while he was still married to Alice, his first wife. Seven years on from the day that Ben's life fell apart, he finds that once again, he is losing control of his life, as there is now a criminal baying for his blood. Just when Ben thought that life couldn't get much worse, his estranged twin sister, who also happens to be a detective with the police, turns up and is back in his life. With his sister asking more questions than she should, about things that she should know nothing about, Ben realises that he has to take a trip back into his past in order to survive to see his future. This is the second book that I have read by Rob Sinclair and I have to say that I absolutely loved it. It is so fast paced and action packed, with something new and exciting happening with the turn of every page. 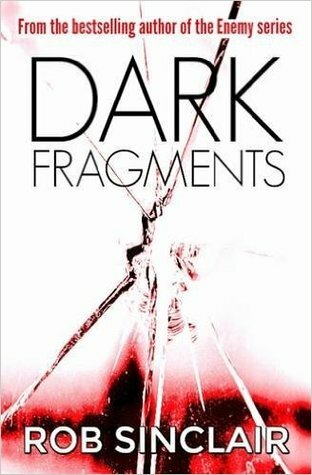 Dark Fragments is a stand alone thriller and I find myself hoping that someday there might be a sequel because these characters are too good to put to bed after just one novel. From the outset, the story is gripping and really draws the reader in. Add to this the well developed and engaging characters and Rob Sinclair has written one cracker of a book. Books like this one make me regret not reading thrillers sooner. If there is one thing that I didn't like about this book, it's that it's told in the first person, but that is only a tiny criticism to what is otherwise a fantastic book. The twists all the way throughout the book, are nail-biting edge of your seat stuff and I can guarantee that the reader will not see them coming. I couldn't have predicted the end in a million years and I was as surprised as I was shocked when all was revealed at the end of the book. The pages seemed to turn themselves and I was totally immersed in the book from start to finish. This is not my usual type of read, as normally I prefer books that a lot lighter, but I was delighted to shake things up a bit with this one and I couldn't have enjoyed it more. Dark Fragments is a page turner that will have you on the edge of your seat throughout, with an ending that you won't see coming. I can't recommend it highly enough to fans of thrillers and crime fiction.